Remakes, reboots and revisited franchises were a major part of 2015 in the world of video games and movies. 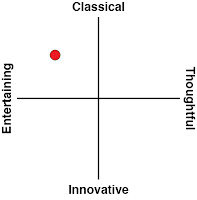 At times it almost felt like creativity took a major hit in terms of bring about original ideas. Fast forward to 2016, and things are not looking very different. Despite this, I am pleased to say that Ratchet & Clank, a title that comes to both the silver screen and the PlayStation 4, is rather ace. Related reading: Matt's review of Ratchet & Clank: Q-Force, where the series took a swing at the tower defence genre. Ratchet & Clank on the PlayStation 4, you see, is a reboot of the original title that came out on the PlayStation 2 fourteen years ago. Much like how Resident Evil on the Nintendo GameCube was a complete remake from the ground up, Ratchet & Clank comes as a completely new title that manages to retell Ratchet & Clank’s origin story in a better way than the series' inventors over at Insomniac Games could have ever dreamed all that time ago. To be perfectly honest, this reboot could not have come at a better time. As the first title in the franchise on this platform, it acts as a palette cleanser to recent titles such as Ratchet & Clank: All 4 One, Full Frontal Assault and Into the Nexus. All titles were serviceable to the Ratchet & Clank franchise, but ultimately fell short of what might be expected of a franchise that was held in such high regard in its early years. As the game directly follows the plot of the movie, I will try to avoid spoilers as best as I can. Insomniac have done a brilliant job of taking a movie plot and repurposing it as a video game. 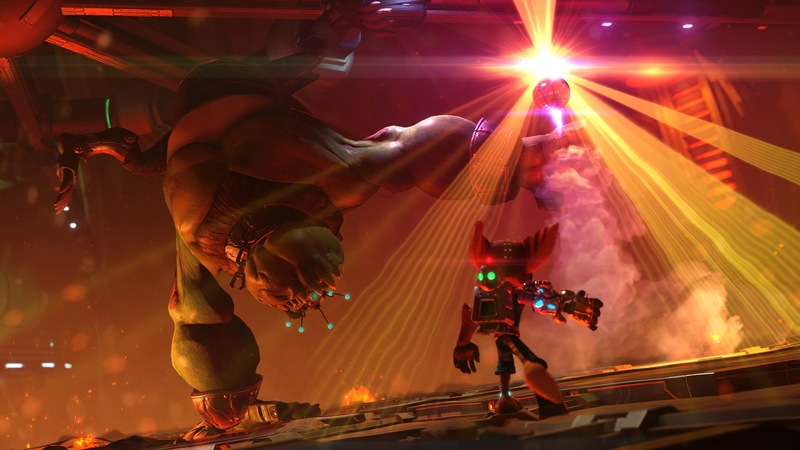 The opening cinematic sets the scene brilliantly, with Captain Qwark telling the tale of how a Lombax named Ratchet had come upon a Warbot reject named Clank, and how the pair managed to make it into his Space Rangers. The fellow that Qwark speaks to in the opening cinematic explains his love for Ratchet & Clank, telling Qwark that he pre-ordered their brand new video game, of which the jealous Qwark apparently has no idea about. The tone is set right from the get go, and Ratchet & Clank is a very self-aware game. Qwark’s narration pops up throughout the game, without being at all overbearing. 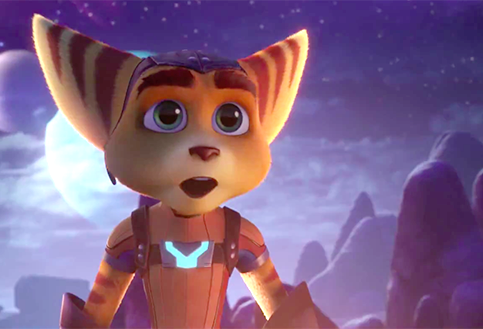 It is fun to see the highs and lows that Ratchet goes through as he meets his heroes, explores his dreams and grows as an individual with growing responsibilities. This is what makes Ratchet & Clank so enjoyable as a game overall; nothing is overbearing. The game has so many similarities to the Rare Ltd style of collectathon platformers that were prevalent during the Nintendo 64 days, yet fixes many of the flaws found in those classics. Banjo Kazooie and Donkey Kong 64 were great games let down by the sheer amount of item collecting and awful minigame design. Ratchet & Clank has its share of mini games and optional items to collect in order to fully complete the game, yet none of them ever feel like at all like a chore to do. Even on one particular planet, Ratchet & Clank are asked to collect sixty brains from all around the area. It sounds daunting at first, but collecting the brains is mixed up between killing large aliens that give out three at a time, as well as finding brain sacs that give one brain. The whole side mission took roughly an hour, but mixing up the gameplay elements in order to complete it was a blessing in disguise. Ratchet & Clank’s other blessing comes in the form of its weapons. A key part of any Ratchet & Clank title, the weapons found here are a sampler from various Ratchet & Clank games, with a couple of new ones thrown in for good measure. The rocket launchers and blasters are made to obliterate everything in Ratchet and Clank’s path, the Disco Ball is there to make enemies look foolish and the new Pixelizer weapon is there for both. The effects of each weapon all feel completely different, and the levelling up system that rewards Ratchet the more he uses each weapon encourages mixing it up throughout the game. Levelling up weapons is a lot of fun, too. Throughout the quest, Ratchet and Clank will come across a substance known as Raritanium. With each piece of Raritanium, Ratchet can upgrade his weapons on a grid-like levelling up system. Each weapon has its own unique upgrades as well, meaning Ratchet is able to kill his foes in even more ways as time goes on. Fully upgraded weapons take on different forms that boast a new secondary capability, the rewards for using each weapon is there, even if it might seem a little timid at first. Of course, the game not only plays well, but it looks good too. Each planet in Ratchet & Clank is a pleasure to explore, with a lot of variations that keep each planet looking unique. Insomniac has paid quite a lot of attention to even the most minor of details in the environment, to the point where minor objects are still there to see even from a great distance. Ratchet & Clank practically begs to be fully explored. The lighting in the game is some of the most breathtaking displays I have ever witnessed. From the light of a planet cascading over Ratchet & Clank in a cold, dark spaceship, to the spotlights used deep in a cave casting large shadows of the titular characters on the walls, it all looks amazing. The game also utilises cut scenes taken straight out of the movie, and none of them feel out of place within the scope of the game either. It’s almost like Insomniac and Rainmaker Entertainment wanted this to be good. Something video game and movie tie-ins often fail at. I briefly mentioned before that the mini games found in Ratchet & Clank weren’t terrible. 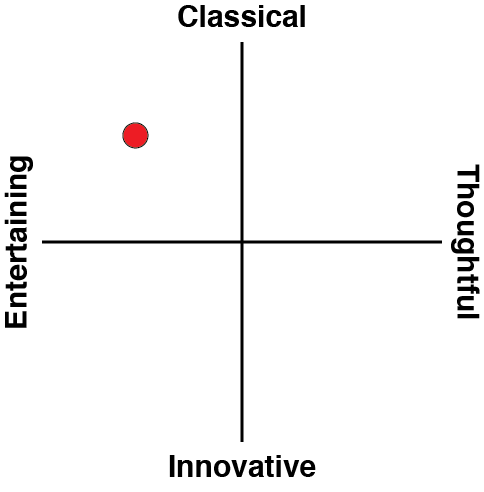 In fact, most of them are actually quite good. If the Super Mario Galaxy games are known for adding mini games that could be fleshed out into their own titles, then Ratchet & Clank could be placed right alongside them. The game includes hoverboard races and epic ship battles that would not look out of place in a Star Wars movie. I would totally fork out some extra dough for a full-fledged Ratchet & Clank space battling game, it’s that good. Other sections of the game require Clank to be his own robot and explore on his own, these can be considered breaks from the intense action found in the rest of the game, as Clank often finds himself having to use fellow robots as puzzle pieces in order to explore areas that Ratchet cannot get into. It breaks up the pacing if anything, but does feel a tad shoehorned in to make Clank more useful to the overall story. Related reading: An interview with the CEO of Insomniac Games, Ted Price, from 2013. 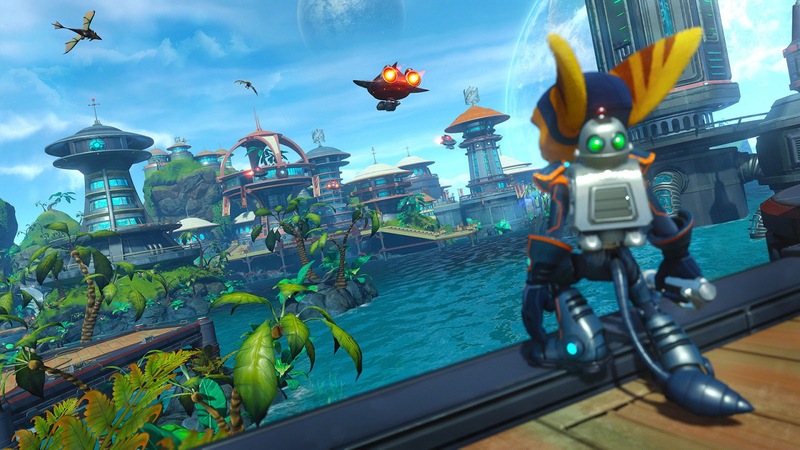 Ratchet & Clank is a return to form for the series. Without any unnecessary gimmicks or whistles, the game focusses on exactly what the game is about; exploration and fun. Characters with genuine interactions, side missions that aren’t overbearing in the least and gorgeous backdrops to the game as a whole, Ratchet & Clank is everything fans of the series have been waiting for. As a fan of the Nintendo 64 Rare Ltd era, I can happily say that Ratchet & Clank have dethroned Banjo Kazooie as my absolute favourite action adventure title. The future looks bright for Ratchet & Clank if Insomniac maintains this kind of focus in all the right areas.